We’re finally hiring! These Littlewings are now loaded down with more work than one bird can handle, and it’s time to expand our team! Why are you interested in working for a small-handcrafted company? How do you see yourself fitting within this particular system of values and operations? What previous experiences do you have working with online sales + shipping platforms? What are your top three priorities in a job, even a part-time one? These could include company values, flexibility, pay, exposure, experience- what do you hope to glean or see as potential outcomes of this experience? Please email us at elysemarie@littlewingsdesigns.com, with the title of the job in the subject line. We will be trying to respond to all interested parties with at least a notification that their email was received within 72 hours. Applications that are missing pieces of the requested information will not be accepted. All applicants must be 18 years of age and legally able to work in the United States. We are seeking a summer intern to assist in the LwD Studio + Events. This is an unpaid internship position with a requirement of 20 hours per week and is for college internship credit. Working within a small fashion business + studio is a varied and ever-changing environment that requires team members to be able to come up with quick solutions, execute creative decisions effectively + efficiently, and be able to go with the flow as situations change + evolve in the design and sales processes. In this manner, an internship with LwD will function as a creative assistant role, and tasks will be as varied as Elyse herself tackles on a daily basis. This is a prime opportunity for a motivated individual to create a strong niche for themselves on the LwD team and come away with a varied skill-set that will further any fashion career. Students who successfully complete the summer internship will also receive a stipend to put toward tuition costs upon completion + verification of internship paperwork for their university and/or institution. Please apply with the questions above answered, as well as with online links to your portfolio + CV, links for your social media accounts, and a letter of reference. We are seeking to fill this role and fulfill university/institutional requirements for this internship by May 15th, 2016, with an official internship timeframe of June 1st 2016- September 1st, 2016. Interfacing with wholesale clients via email and preparing line-sheets, swatchbooks, and sales kits for interested parties. Create images and copy for regular social media promotion, including info for events, top-down IG images, work-in-progress shots, etc. Attend shows, events, and festivals where LwD is vending with its collective, Parliament; assist with sales, set-up, tear-down, and social media promotion at these events. Down-to-earth attitude and vibe for interacting with customers and other client interfacing at shows, the storefront, and in the digital plane. A flexible personality that can handle an ever-changing work environment and is able to roll with the flow! Be available 20 hours per week + eligible to receive college university credit for your internship. This internship will run from June 1st, 2016 to September 1st, 2016. You need to be available 2-3 days per week for the entirety of this timeframe, except for the weekend of July the 4th, and the week of July 8th-15th. Be able to lift + carry up to 50 lbs for an individual package, and 50+ lbs on a cart. Be emotionally flexible when it comes to routine + schedules; the only constant in small-business is change, so we must be able to roll with the flow! Availability to attend some weekend and evening events; possible transportation and details for long-distance events will be determined on an as-needed basis, and will include reimbursement for mileage and accommodations as necessary. Have safe and reliable transportation to and from our studio on a regular basis; we are not responsible for your transportation. Be mentally and physically able to work in high-stress and large crowd situations. LwD frequently vends at large festivals and in major cities; intern needs to be able to walk distances, navigate public transportation, and manage in high-stress situations. Seeking an individual to assist in packing + shipping of orders received via online selling platforms, and to manage regular updates + maintenance of those channels. This position is 8-12 hours per week, with opportunity for growth should this individual demonstrate financial benefit for the company from the expansion of their duties. We hope to have this role filled and begin training on April 14th, 2016. Have safe and reliable transportation to and from our studio; we are not responsible for your transportation. 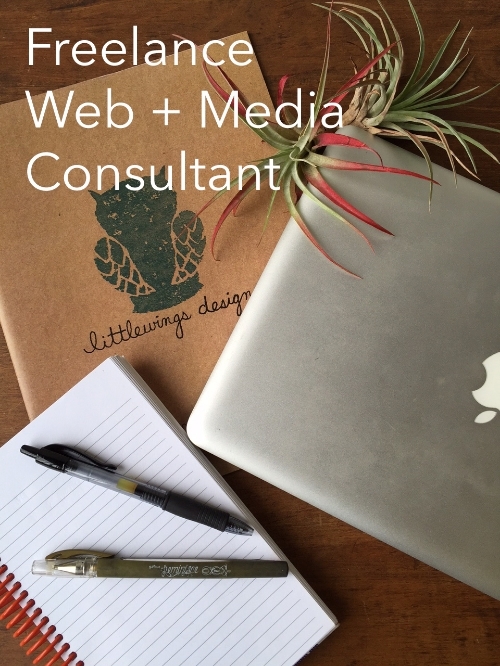 Seeking an individual to consult on our web + social media platforms. This includes evaluating web traffic, offering suggestions for improving SEO, fine-combing the website and other online platforms for inconsistencies + bugs, and coming up with an item-action plan of steps to take towards improving the LWD online presence. This is a freelance, consultant position- hours and pay will be determined on an as-needed basis, commensurate with experience. Duties for this position can be accomplished from home or in our studio environment; location will be determined on an individual basis. We are seeking this assistance ASAP and are available in the next two weeks to meet for discussion. Ensuring functionality of social media links across various online channels including website, blog, etsy, and other media channels. Seeking individuals to join our freelance roster of craft assistants for wholesale + large batch production. We are looking for candidates with basic handicraft and workshop skills to apply towards leather-working; are you a sewer, a jewelry maker, or all around handy dude or gal? We will train in the specifics of leather-craft, so we are looking for those with general aptitude and an attitude of gratitude when it comes to working with your hands! Answer the questions above, a current resume or CV, and a link to your portfolio if applicable. This is an ongoing call for potential assistants, and if we find your skills fit our needs, we will contact you for freelance shifts. As we collect information on potential candidates, we will be scheduling group working interviews. Once we have enough interested candidates, we will announce a date for the working interview. Please note: Submission of CV/resume, other contact about the freelance pool, or even admission into the working interview does not guarantee a job nor regular hours. This is a freelance position, and hours are on an as-needed/as-available basis. Have basic handicraft capability with hand-tools and sewing; experience in leather-craft, sewing, wood-working, jewelry crafting, and many more mediums are all applicable. Be physically able to sit at stools, stand at workstations, and generally function in a workshop environment for extended periods of time.